There is nothing more pleasant than going up and down the hill of Montmartre in search of its historical painters and studios. 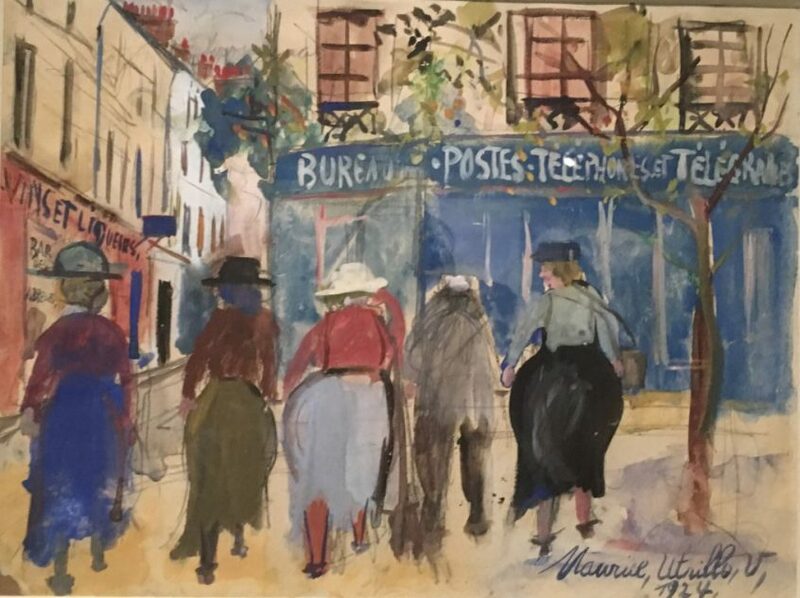 Musée de Montmartre which is now run by a dynamic young lady, Fanny de Lépinau (who spent ten years at Musée du quai Branly), is trying to surf on the wave of mass tourism around the place du Tertre. 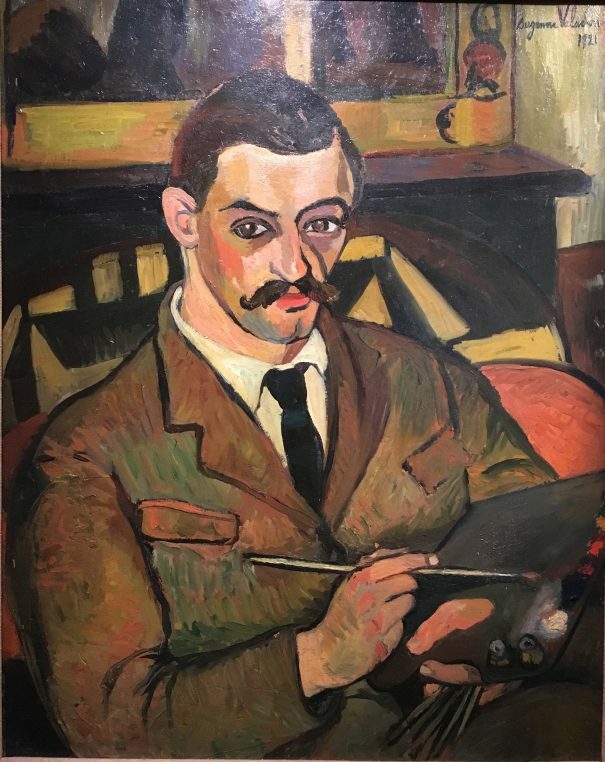 After a lovely Van Dongen exhibition this year, it has assembled 150 works by Kupka, Valadon, Utrillo, Galanis… who all lived and painted nearby. It is a great excuse to have lunch in the very pretty garden and to walk around the magical Butte. 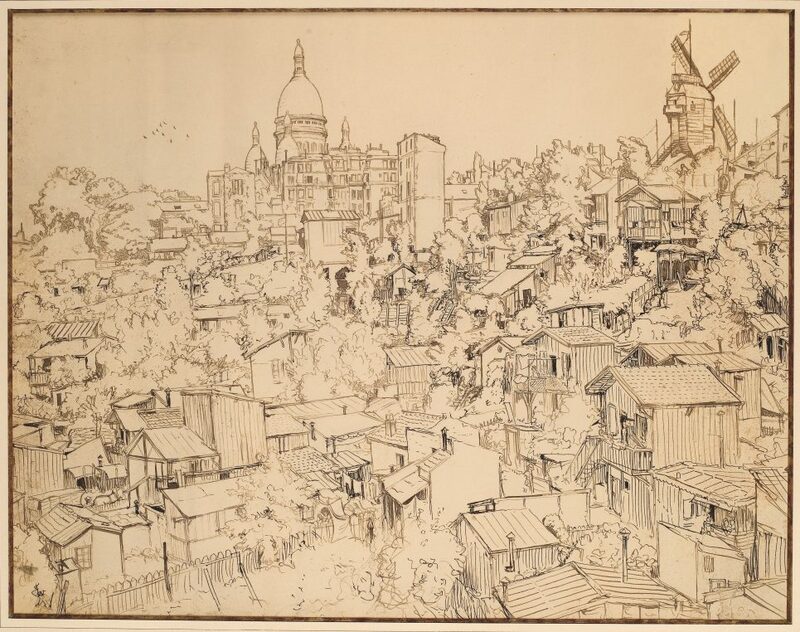 Starting in 1872, Montmartre became an attractive spot for artists with its cheap housing and large gardens. Rue Lepic, rue Véron, rue Cortot, rue Caulaincourt, studios were occupied by Eugène Delâtre, Adolphe Villette, Auguste Renoir and Emile Bernard, the Greek Demetrius Galanis and the Swiss Steinlen. The exhibition lists all the studio’s addresses and devotes a room to each group of painters mixing photographs and paintings. 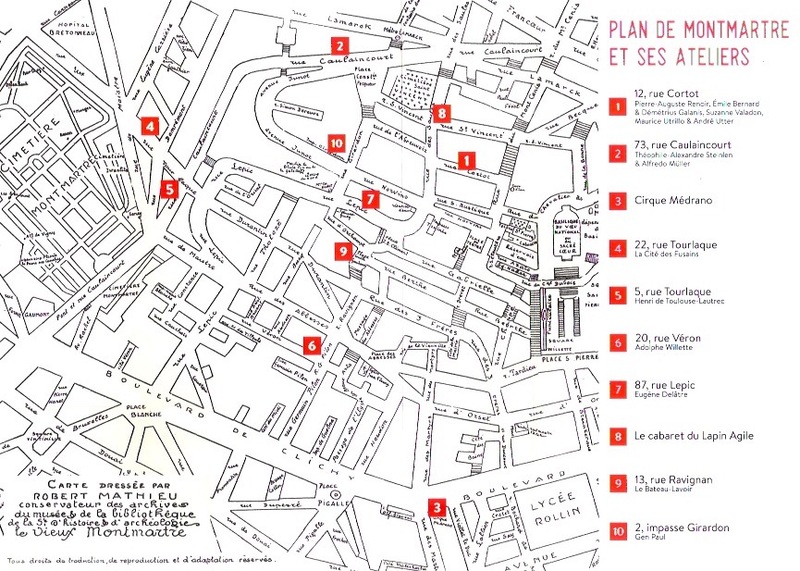 It is a true geography of the art in Montmartre and it also lists cabarets and circus Medrano. The museum shows all year round a collection of souvenirs devoted to Butte Montmartre. And it has saved many documents of houses and gardens that have burned down or simply been erased by real estate agents who started building the site in 1902. A beautiful ink and pencil on paper by Frantisek Kupka gives a good idea of what the hill looked like. Steinlen’s house is nicknamed Cat’s cottage for all the cats that the painter saved in the “maquis”. He is mostly an active contributor to the political press with his illustrations. 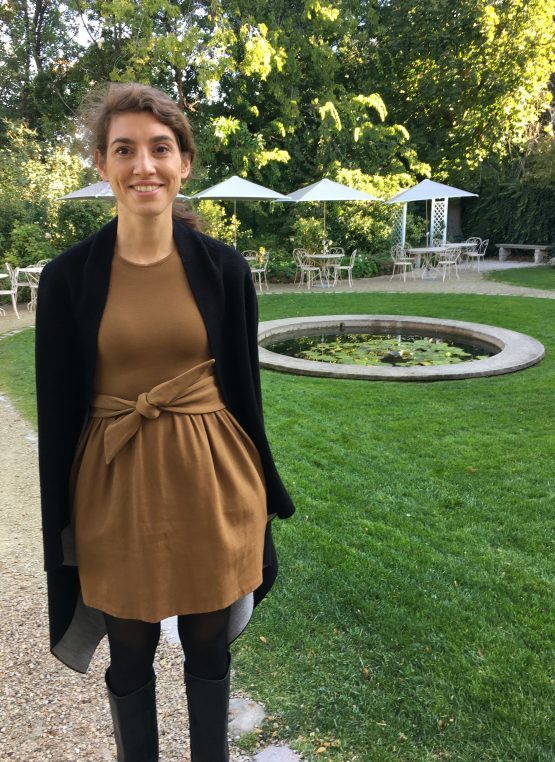 What is most interesting is the second part of the exhibition with a large room devoted to Suzanne Valadon and her son Maurice Utrillo. 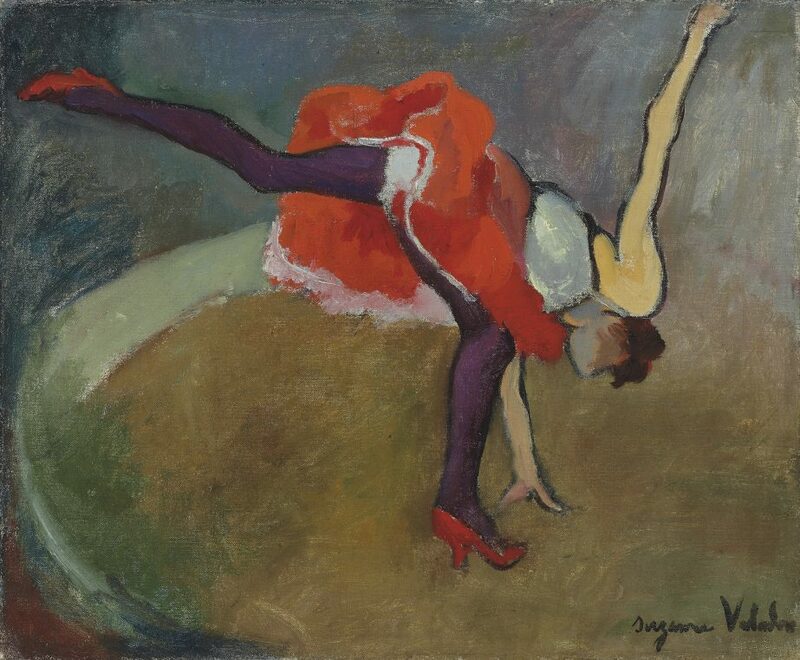 Her paintings are very strong and have been lent by the Musée Utrillo-Valadon and private collectors. There are many photographs of famous or less well known painters which give a good idea of the atmosphere at “Lapin agile” or at “Cirque Medrano”. The delightful museum is set in different houses with a large garden that is impeccably kept. An old studio is recreated like a film set. It is a romantic outing to do on a sunny day! 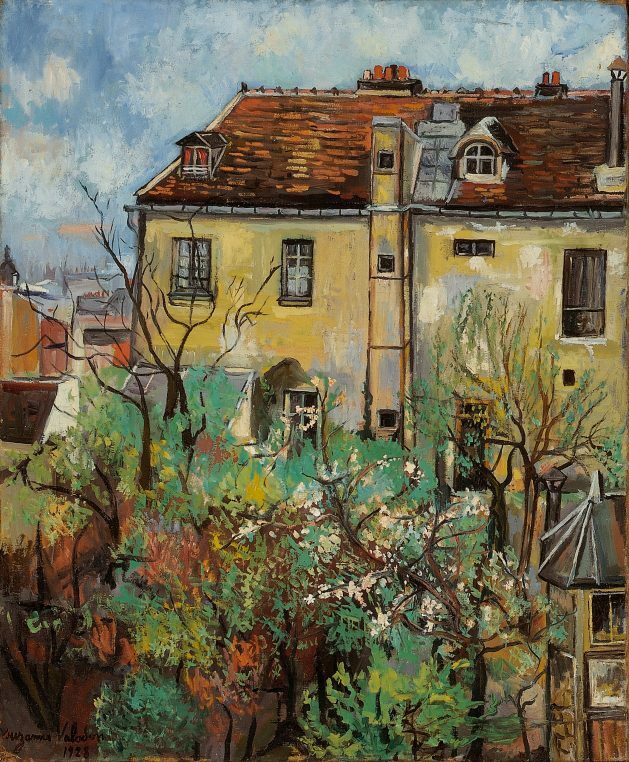 Musée de Montmartre, until January 20. The museum is open every day of the year. Access to the garden alone is 4€. « Animal painters can also do people!